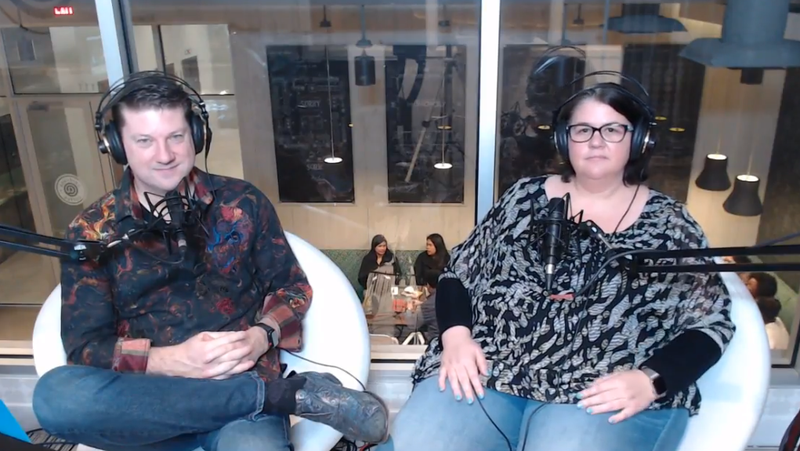 Randy and Kristy Pitchford recording an episode of Nerdvana Live earlier this year. In 2014, Randy and Kristy Pitchford found that they needed a personal assistant to help manage their busy lives. He was the CEO of Borderlands maker Gearbox Software, she the owner of the Dallas-area gaming-themed cafe Nerdvana. They hired John Wright Martin, who worked for the couple for two years. In 2016, they parted ways. Now, the Pitchfords say that Martin embezzled millions of dollars from them. As the Dallas Morning News reported over the weekend, Martin has been accused by the Pitchfords and others of theft and forgery. Though he was only paid $45,000 a year, he seemed to have maintained a lavish lifestyle full of designer brand clothing and luxurious parties. It wasn’t until early 2017, several months after Martin had left their employ, that Kristy Pitchford said she realized money was missing from one of the holding accounts for Nerdvana. According to the Dallas Morning News story, the couple confronted Martin. When he failed to pay the money back, the Pitchfords’ lawyer drafted an agreement demanding repayment of $780,000, which Martin apparently signed but never made good on. In August, a district judge in Collin County, Texas issued a warrant for Martin’s arrest after he failed to show up in court to face felony charges of theft and forgery, with the Pitchfords now claiming stolen property in the amount of $3 million. In 2015, Gearbox was moving its offices, Nerdvana was just getting started in the same mixed-use building, and the Pitchfords themselves were moving from their old home into a new house they were having built. Randy and Kristy Pitchford at the opening of Kristy’s Nerdvana cafe and bar. Pitchford said that most of the fraudulent activity—forged checks, payments to an American Express card, and ATM withdrawals—were hidden in miscellaneous lines of larger financial reports that didn’t raise questions at first because of all the other expenditures associated with getting a new business off the ground. Analysis and forensics after the fact revealed the amounts of missing monthly funds were small in the beginning: a thousand dollars here, a thousand dollars there.It wasn’t until the last few months of Martin’s employment that the bulk of the damage was done, which the Pitchfords say included a chartered private jet to Florida to party with friends. Martin, Pitchford said, had close proximity to Nerdvana’s finances, having been tasked with helping to set up the accounts in some instances. In addition to picking up the Pitchfords’ child from school or assist with other errands, he would also make regular trips to the bank on their behalf. Pitchford said he suspects that this is how Martin was able to get his hands on an ATM card allowing him to withdraw funds directly from business bank accounts. “We tend to operate with a high degree of trust,” he told Kotaku. “Most people are awesome.” Martin seemed that way at first, he said. Pitchford said he was quite competent at the job, and they parted on amicable terms when Martin left to pursue a business of his own in interior decorating. It was not until months later, when the Pitchfords discovered one of the Nerdvana holding accounts had been drained of the hundreds of thousands that should have been in there, they knew they had been had. “I’ve never experienced anyone like this before,” Pitchford said. Pitchford said that while Nerdvana’s business accounts were attacked, Martin never meddled with anything at his game studio Gearbox. “He didn’t have access to enough there,” he said. Pitchford said in a follow-up email that while a police raid on Martin’s residence last year captured some items that were then sold to recover a small portion of the loss, none of the alleged $3 million theft is covered by any kind of insurance, and at this point, the Pitchfords don’t believe any more of it will ever be recovered. “At this point, we’re just seeking justice and to help prevent his ability to create new victims,” Pitchford said.